The architectural design department of CM Services offers clients professional design expertise with a vast array of project type experience. Our design professionals collaborate with clients, communities and end users to create ideal spaces for living, working and playing. We design buildings to respond to the context of the proposed sites in a manner which respects and enhances its surroundings. Buildings designed by CM Services are healthy, efficient, and aesthetically pleasing at a high value to our clients. The result is a successful design developed directly from the client’s needs, goals and vision for the project. Client satisfaction is the main priority at CM Services and, because of our results, the majority of our clients are through referrals or repeat performances. Our full range of services include programming, schematic design, design development, construction documents, bidding and negotiating through construction administration. Clients who are eager to get a permit for their project can hire CM Services to assist them with the required drawings and applications needed. We offer fast-track design services and building code consultation. Our design professionals have completed a vast array of successful commercial buildings from office spaces, retail build-outs and new construction, medical offices, restaurants and more. We are capable of teaming with national and corporate firms to bring your project to fruition locally. We strive to ensure our clients and their building occupants are equipped with the healthiest, most functional and energy efficient buildings possible. This project involved the design of three 20,000 square feet multi-tenant retail buildings, based on the corporate design image of the Pier 1 Imports anchor store. The color scheme and facade materials were changed to allow other tenants to have their own identity separate from the main anchor store. The project also involved the architectural development of the Pier 1 Imports, Chioptle Mexican Grill, Burgatory and David’s Bridal spaces. Our experience with the health care profession has lead us to various projects in a multitude of health care providers, from rehabilitation services to general health care clinics. Our experience includes permitting through the PA Department of Health processes. This project involves the redevelopment of an existing plighted 3 acre in downtown Washington, PA. 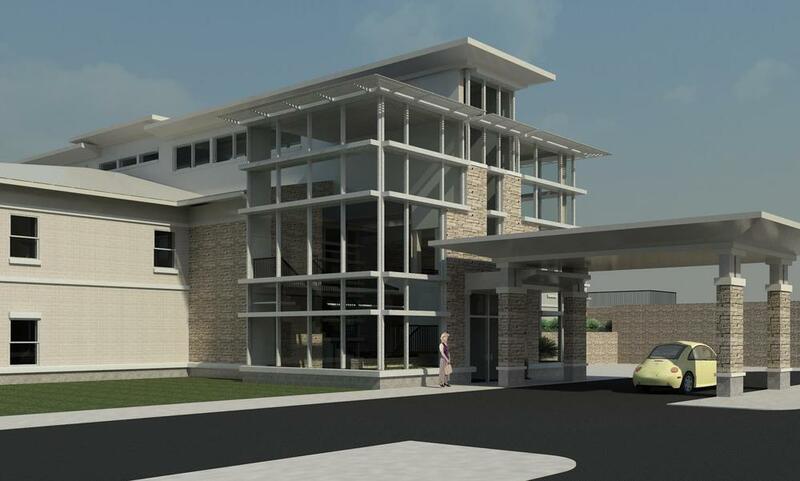 The project includes rehabilitating 2 existing structures into a 15,000 SF Medical Clinic office facility and another 9,000 SF building into a Mental Health Facility. The project incorporates sustainable design features such as rainwater collection systems and bio-retention rain gardens for handling site stormwater, as well the building’s exterior and interior sustainable elements proposed throughout the design. The redevelopment of the site was vital to enhancing the entranceway to the City of Washington’s central business district. This project involves project development of a new 8,000 square foot multi-tenant professional medical offices on a very challenging site. The configuration of the property, site grades and zoning restriction, along with roadway access, proved to challenge our design team to provide the most efficient use and layout of the property. This project is the first of numerous phases planned for the development of other medical office structures. Services has done a vast array of municipal work from fire departments, municipal buildings, police stations, transit centers and city parks. We work closely with the local governments, community boards and end-users to design functional, efficient buildings and spaces that bring vitality back to the community. The existing Borough Municipal Building, 6,500 square feet in size, is being renovated to provide expansion for the Borough’s Administration Offices and Police Department. The design will incorporate exterior feature elements of the existing building into the addition. Interior renovations of the existing building offices are being designed to provide more open area office for the Zoning and Planning Department as well as enlarging the existing Council conference room area. A building energy model was also created for this project and all net-zero design features including geothermal and solar features were designed and considered based on ROI. A new 8,980 square foot fire station was designed to house the fire department offices and engine bay garages. The building was constructed on a vacant lot of a former neighborhood school site and is designed to be aesthetically conducive to the surrounding homes in this small community. The front entrance tower is symbolic of the old fire house towers built in the fire stations designs of the past. Services offers different levels of design for single family homes from luxurious to more modest residences. We have experience with numerous multi-family, student housing and senior living residential projects in downtown districts as well as in more rural settings. Clients are able to see a fully modeled and rendered project during all phases to ensure their project meets their aspirations. 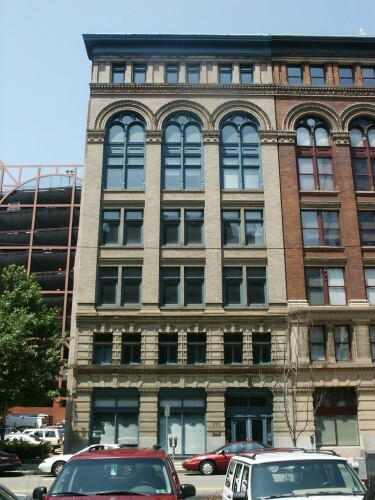 This project is the third in a series of three rehabilitation and renovation projects of high-rise office buildings situated in the Golden Triangle District of downtown Pittsburgh, PA. The design of the project involved a change of use from an office building to a residential housing project as student housing suites for a university located within the area. The primary challenge in design was to update the building to accommodate the new use with regards to the modern code upgrades implemented into a structure built at the turn of the 20th Century. The concept in the design was to develop a residential suite layout that would be flexible in plan that could convert the residential student units into high-end residential unit living, with potentials of open plan loft spaces. The main code challenge for this project was implementing the modern code requirements into a heavy timber construction classification of the building. Another design challenge to the project was working with a small floor plan of the building. while maximizing the buildings leasable use potential. This project is a rehabilitation and renovation of a 13 story high-rise office building situated in the former financial district of downtown Pittsburgh, Pennsylvania. The design of the project involved a change of use from an office building to a residential housing project as student housing suites. The primary challenge in design was to update the building to accommodate the new use with regards to the modern code upgrades implemented into a structure built at the turn of the 20th Century. The concept in the design was to develop a residential suite layout that would be flexible in plan that could convert the residential student units into high-end residential unit living, with potentials of open-plan loft spaces. Another significant design challenge was to maximize the use of the floor area in the confines of a small limited floor plate of the building. Special care in planning required an open communication with the City’s building inspection department to renovate the structure with today’s modern improvement standards, while keeping critical consideration for development costs. Services professionals have worked with many corporations providing new facilities, additions and renovations to wide range of industrial trades within our region. Our understanding of code issues working with existing structures has proved beneficial to our client's ability to achieve their goals in planning renovations and expansions to their operation.